CAT Exam Centers: CAT(Common Admission Test) notification have been released on 27th July 2018, the Online Application form will be available from 8th August 2018 and the last date of filling the application form is 19th September 2018. Common Admission Test is a top level management entrance examination organized by the Indian Institutes of Management (IIMs) on a rotational basis every year. For admission in MBA, PGDM, and other management courses which is offered IIMs and other top business schools in India such as SPJIMR, FMS, MDI, NITIE etc scorecard are required. 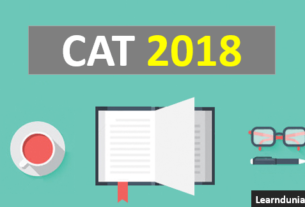 How to Select CAT Exam Centers 2018? Candidates would have four options to select the CAT Exam Centers while filling the CAT Application Form. Candidates will able to Select maximum four of the Exam Centers. The Authority will allotted the preferred exam centers. A near by exam center will be allotted to the students if it is available. The CAT Exam Center Name will be maintained in CAT Admit Card. The CAT official Notification has been started from 8th August 2018. Exam Mode: Computer Based Test (CBT). Exam Duration: 180 minutes (3 hours). 60minutes duration has been allotted to complete each section. Type of Question: Multiple choice type and subjective type. No. of Question: Total 100 questions. Negative Marking: For multiple choice questions(MCQs), one mark will be deducted for a wrong answer and for questions other than MCQs no marks will be deducted. There will be not penalty of negative marking on wrong answers to Non MCQs in CAT 2018 Exam. The 3 section are CAT 2018: Verbal ability and & Reading comprehensive(VARC), Data Interpretation& Logical Reasoning(DILR); Quantitative Aptitute(QA). CAT 2018 Admit Card will be available form 24th October 2018, candidates can download their admit card from the official website of the CAT. Candidates can download their admit card by entering Registration No, and Password. The Admit Card contain the detail like Candidates Name, Exam Dates, Candidates Photograph, Signature, Exam Center etc. Log in to the official website of CAT Exam. Click on the Download CAT Admit Card Section. Enter your application number or date of birth. You will be redirected to the Admit card window. After generating your admit card you need to verify your admit card; if you finds all details is correct then please download it and if you find any discrepancies then immediately contact with the conducting authority. Take a copy of admit card for future purpose.